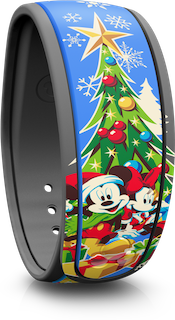 As I posted about a month ago, there is a new MagicBand for the 2016 Mickey’s Very Merry Christmas Party, which starts on November 7th, 2016. Thanks to the Disney Parks Blog we now have a picture we can show you of the band and the box it will be coming in. I had seen the band before but was unable to post a picture of it until now. 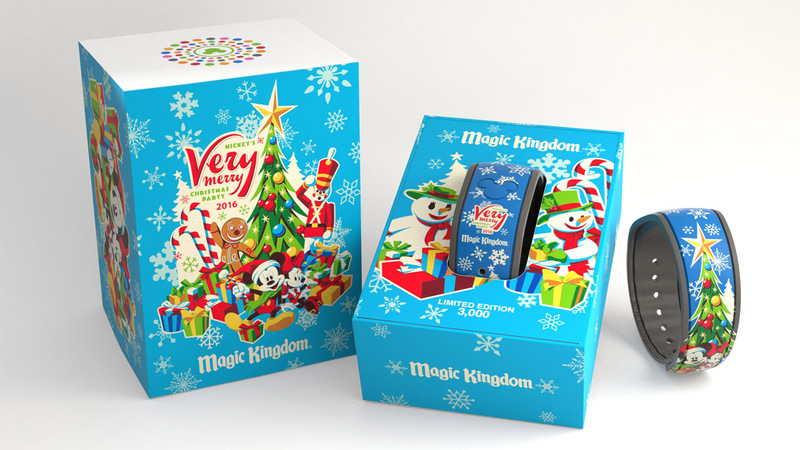 This Limited Edition MagicBand, which will cost $32.99 and only be available at the party, is limited to only 3000 each (from 4000 in 2015, and 5000 in 2014), as Disney has had trouble selling all of the bands at previous parties. Hopefully this will make them a bit more exclusive. It comes in a special box and does make lights and sounds at FastPass+ touch points only in the Magic Kingdom. 6 Responses to "First look at the 2016 Mickey’s Very Merry Christmas Party LE MagicBand"
So I have a question about the magic band. I’m going to the Christmas party on December 13th, and am wondering if they will still be available at the party when I go, since the Christmas party starts this month . I have no idea, it just depends on how quickly they sell. The Halloween bands sold out about a week or two before the final party event. Great design this year! Ethan, are you going to the d23 convention in November? Even though I live 5 minutes away, I won’t be attending this year. But if a MagicBand comes out for the event, I do have a friend I am meeting up there to get his from him. I find the D23 Expo to be a much more fun and enjoyable event, which I will attend again in 2017.